While Poland works on amassing an army capable of countering alleged “military pressure” from Russia, it will need US and NATO reinforcements as a “guarantee of independence,” according to Polish Defense Minister Antoni Macierewicz. “[NATO and US troops] are the guarantee of Poland’s physical independence from military pressure exerted by Russia, until we build our own armed forces, until we can manage entirely in our own dimension,” the minister told journalists at a press conference broadcast by Republika TV channel, as cited by Reuters. Apart beefing up its ranks, the Polish army is considering buying 14 helicopters from US-based Lockheed Martin’s Sikorsky subsidiary Airbus. “We are in the process of choosing an offer,” Macierewicz said, without specifying when the decision will be made. Apart from the Airbus offer, the Polish Defense Ministry is also considering one from Italian-based holding Leonardo-Finmeccanica. The contract could be worth 1 billion zlotys, or $244 million. 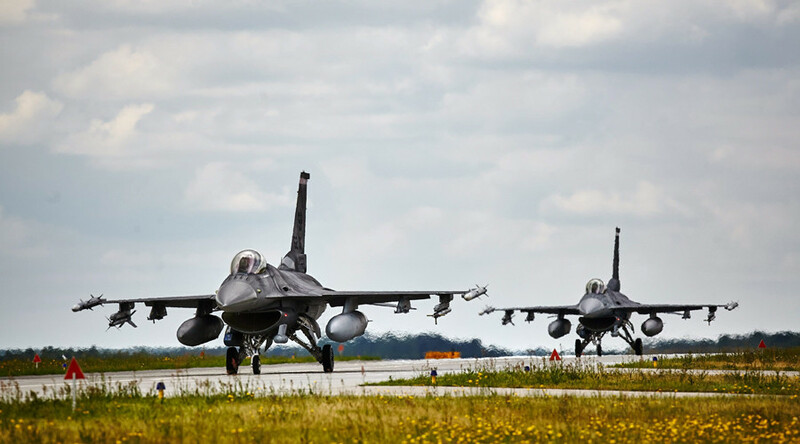 Macierewicz noted that the ministry is also considering buying 50 to 100 more F-16 fighter jets from the United States, depending on the terms. The country already has a fleet of F-16s – single-engine supersonic multirole fighter jets originally developed by General Dynamics (now Lockheed Martin) for the United States Air Force. Poland signed an agreement with the US in December to equip its F-16s with new cruise and air-to-air missiles in a deal reportedly estimated to cost about $200 million. For now, however, Poland is preparing for more US and NATO soldiers to arrive. According to Macierewicz, a total of more than 6,000 allied troops are to be stationed in Poland as part of Poland’s agreements with the United States and NATO. “The important, the main task which faces us is the realization [of decisions] made at the NATO summit and the agreements with the United States concerning the deployment and presence of allied troops in Poland... The number of the allied troops, both American and NATO’s, is to exceed 6000,” Macierewicz said. Macierewicz’s remarks come amid NATO’s “biggest reinforcement since the Cold War,” which was agreed upon at the alliance’s summit last summer. Four multinational battalions are set to be deployed in Estonia, Latvia, Lithuania, and Poland as part of the plan. 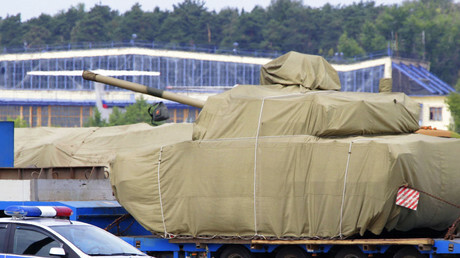 Less than two weeks ago, hundreds of American tanks, trucks, and other military equipment arrived at the German port of Bremerhaven, which are to be transported to Eastern Europe, including to Poland. The delivery consisted of US Abrams tanks, Paladin artillery, Bradley fighting vehicles, and other military hardware and equipment, totaling about 2,800 pieces, accompanied by 4,000 soldiers. The troops will be spread across Poland, the Baltic States, Bulgaria, and Romania, where they’ll remain on a rotational basis. Polish troops are scheduled to hold joint drills with the new arrivals in Poland later this month. 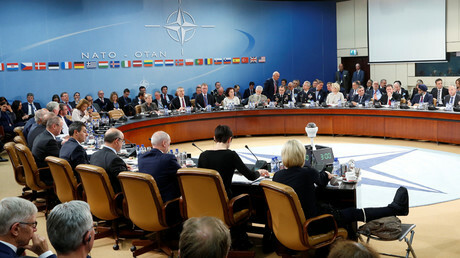 NATO says the maneuvers will aim to reassure its European allies of its commitment in the face of what it calls aggressive Russian behavior. Russia has repeatedly and consistently denied that it poses a threat, explaining that it is reinforcing its own borders as a response to the build-up of NATO forces on its doorstep, which has involved placing Iskander ballistic missiles in Kaliningrad, the country’s exclave wedged between Poland and Lithuania not far from Western Europe.